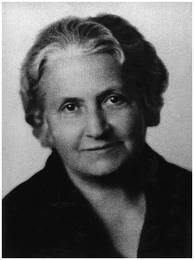 Maria Montessori was a revolutionary and a visionary in the field of education. She shifted the attention away from the traditional teacher-directed learning model to a learner-centered one. By recognizing a child’s natural desire to learn and providing them with scientifically-designed materials, each child develops concentration, coordination, independence, and a regard for order. At Children’s Garden Montessori, our prepared environment describes much more than just a classroom and the work on the shelves. It includes our physical surroundings which are child-sized and child-focused, authentic Montessori materials to facilitate a child’s learning, and an experienced, enthusiastic teacher who guides, observes and facilitates each child’s natural progress. Each child learns at his/her own pace in a carefully prepared environment. Materials are sequenced from the concrete to the abstract, allowing for repetition and success. Many materials are self-correcting. Montessori helps a child develop focus, concentration, independence, and to learn and appreciate order in their work. Teachers have a deep respect for children as unique individuals. Children learn with hands-on experiences and investigations. Classrooms encourage freedom of movement in a non-competitive environment. Montessori allows a child to have extended and uninterrupted work times to explore materials. Children learn self-discipline, an internal sense of purpose of motivation, and to be kind and peaceful.